Tropical Breeze, a 3 layered Massage Knuckle with 2" long knuckles. 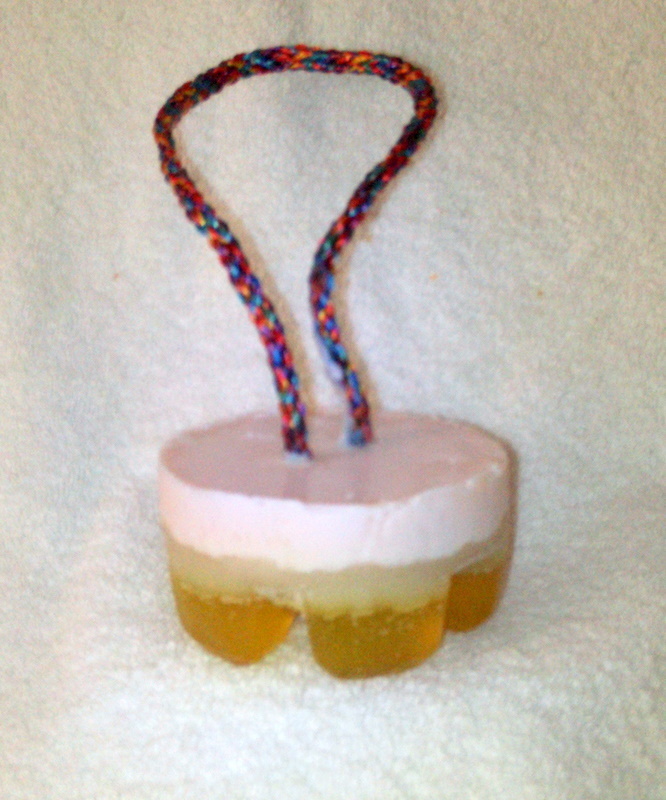 Top layer is crafted using French Milled soap base, nature moisturizing oils and essential fragrance oils of Coconut. 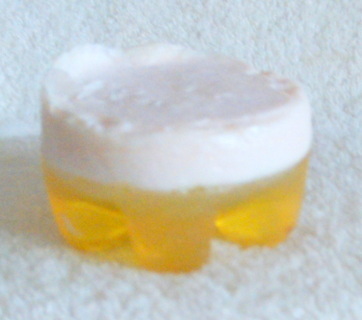 Middle layer is pure glycerine soap base with moisturizing properties, freshly squeezed Lime and Lime Zest are added. Bottom layer is glycerine and coconut oil base soap, freshly squeezed Lemon and Lemon Zest are added and essential Citrus fragrance oils. Natural Penetrating Herbal moisturizing oils and essential fragrance oils are added to all three layers. wt. 7 oz. to 7.4 oz.